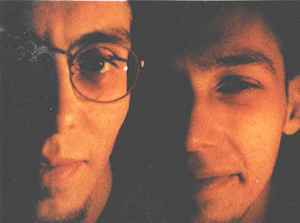 Brothers Mark and Jason Goodings began releasing records in the mid-1990's. They had been working together as a production/mixing team from the beginning of the decade. They were from Hartlepool, Durham but based in Gateshead, Tyne and Wear, UK. Mark Goodings passed away in November 2016. RIP Mark Goodings! Hidden Agenda was one of my first loves of drum & bass. You will be missed.